It’s that time of the year again. There’s a chill in the air, snow on the ground, and Jack Frost is most definitely nipping at noses (at least where I live). One of the best parts of Christmas HAS to be the music. I mean, who doesn’t love the merry beats of Christmas songs bouncing over the radio waves at this time of the year. Music has the incredible ability to take us places we didn’t think possible. Whether it’s transporting us to a time and place from our past or to a winter wonderland filled with snowmen who are alive, its power is undeniable. And it’s this power that makes a song a Christmas classic. What Is the Favorite Christmas Song? But the power of the Christmas song doesn’t end there. 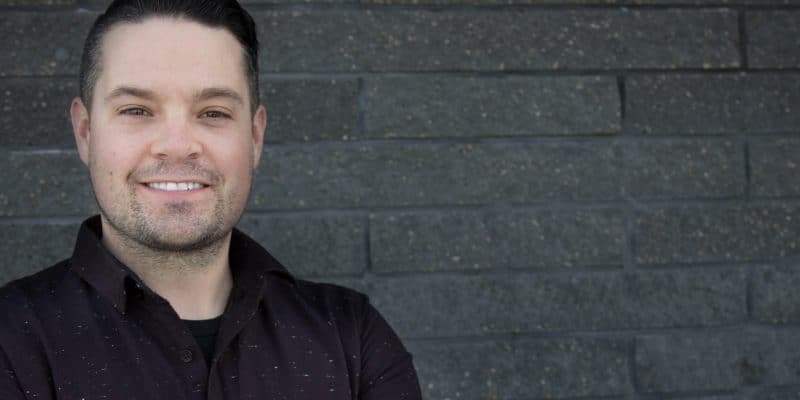 Any message that gets repeated continuously for a few months every year to millions of people over radios and via smartphones has an IMMENSE influence on their thinking. Add to this the millions of views Christmas songs on Youtube get, and you’ve got the makings of an INSANELY powerful force of influence. What kind of influence do the lyrics of Christmas songs have? What’s their impact on culture and consumerism? Can they teach us lessons about money? 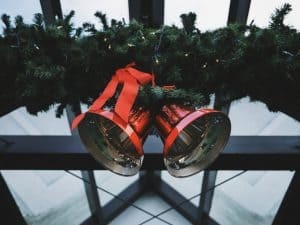 Is there anything we can learn from the best Christmas songs ever to perhaps get back to the original yuletide spirit of yesteryear? Without further ado, here are the top ten best Christmas songs ever and what they teach us about money and the true meaning of Christmas. Let’s start where Christmas all began, with the kids. Whether it’s the nativity or the Nutcracker, kids are always at the center of the holidays. And Christmas songs are no exception. 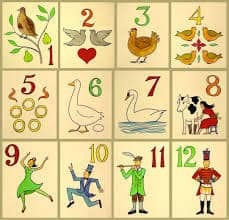 Here are the top Christmas songs for children and the money lessons we can learn and pass on to our kids. A favorite for both kids and adults, Rudolph is a classic Christmas song. 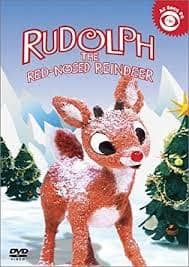 With a plot filled with tenacity and overcoming adversity, who doesn’t love this red nosed under-dog makes good story? The inspirational story of Rudolph boils down to one thing: grit. Psychologist and author Angela Duckworth describes grit as, “the power of passion and perseverance.” When these two character traits meld together, you have the type of unstoppable force that brought us great entrepreneurs like Walt Disney, Oprah and Bill Gates. When a person finds what they’re passionate about and they persevere to develop that passion, success is inevitable. The jolly snowman who came to life when a magic hat was plopped on his head has been a favorite Christmas song for kids ever since it first came to life in 1950. And who could blame them? A snowman who comes to life and plays with kids? It’s every young child’s Christmas song dream come true. 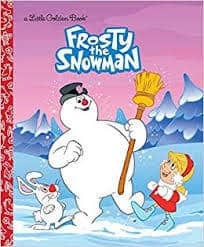 Frosty the Snowman is a textbook case of living for today with no thought towards the future. Don’t believe me? And I quote. You know how the story ends…with him as a puddle (this is the uncensored version that doesn’t get shown in primetime to the kids at Christmas). Many adults adopt a “frosty-like” attitude when it comes to money. Spending today with no thought for how those decisions will affect the future is a recipe for disaster. And even though it’s a recipe this kids’ Christmas song clearly spells out, it’s not one we should imitate. People the world over LOVE this song, and for the life of me, I don’t know why. Maybe it’s the unique and outdated gifts given each day or the round-like fashion in which it’s sung. I don’t know. Whatever it is, I know that people from Seattle to San Juan can’t get enough of this Christmas song, especially kids (at least one time through ;). This song represents all that is right AND wrong with Christmas. The generosity demonstrated by this true love is remarkable. In fact, since it first appeared in 1780, it’s been making the rest of us look like scrooge-like schleps. But upon further inspection, there are some elements of the gift giving that go beyond generosity and into financial irresponsibility. Now I’m all for generosity but not at the expense of good financial sense. If you’re looking for great gifts to give that frugally minded person in your life, check out these 50 Insanely Awesome Christmas Gifts for your penny pincher. Regardless of what you give you should always be sure to do so in a spirit of generosity and with good sense. When it comes to Christmas songs for kids, this tune is one that gets the little munchkins’ blood pumping. Why? Well if you’re under 10 and the thought of father Christmas visiting your town doesn’t get you all riled up, you need to check your pulse! He’s coming…to your town…with presents!! What more could a kid ask for in a Christmas song? But everyone needs to hold their horses just one mistletoe minute. The visit to town to deliver presents comes with one VERY BIG condition. Old Saint Nick has been making a list. A naughty and nice list. And the only kiddos waking up to presents under the tree are those who’ve been kind, well mannered and behaved. In our house, we’ve even taken this a step further with the Elf on the Shelf tradition. Our toy Elf, Franz as we’ve named him, moves to different locations in the house to spy on our kids’ activities and report back to Santa. Creepy? A bit, but not when you’re 5. Taking the naughty and nice list a bit too far? Maybe, but when you want your 3 year-old to do something you’d be amazed at the level of motivation a stuffed elf can provide. And at Christmas, with Santa and Franz present (pun intended), and the kids hyped up on candy canes and eggnog (virgin), this lesson is GOLDEN. So for a month or two a year, I’m fine with it. This Christmas song is a favorite of kids for obvious reasons. In addition to a catchy tune, the lyrics can be easily twisted by children everywhere to make a song about the caped crusader Batman, his green-tights wearing sidekick Robin, and the dastardly Joker. The perfect recipe for a Christmas song classic. 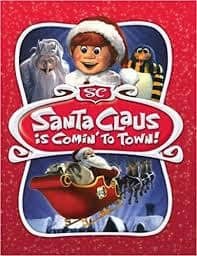 Nowhere in the song lyrics will you find any reference to money, gifts, or any form or materialism (unless you count the SWEET sleigh with a one-horse engine). This Christmas song is a classic because it focuses entirely on spending time with the ones you love. Whether it’s in a one-horse open sleigh or around the table playing games with family and friends, Christmas is about people. It always has been and always will be. So be sure to pass that message along to your kids. One way that we do that as a family is by making a point to play games together over Christmas. In fact, one of our family traditions is that each Christmas we buy a game as a family gift. Over the years we’ve got some awesome games that have provided us with hours of fun and family time. Some of our favorites are Codenames, Wits and Wagers, The Game of Life, Catchphrase, and Anomia. 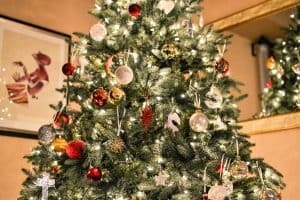 If you’re like me and you couldn’t carry a tune if it was strapped to your back, and you looking for other Christmas songs to get your kiddos into the Christmas spirit and teach them a thing or two about the true meaning of Christmas, check out these KILLER Christmas songs for Kids compilations. Yes, Frosty, Rudolph, and Santa are important parts of Christmas. But to me, nothing feels more like Christmas than singing carols in church on Christmas Eve with those I love. 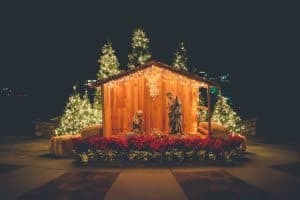 Not only do these Christmas carols sound beautiful, especially when paired with family and the candlelight of a beautiful service, but they also turn our attention to what really matters in the holiday season. 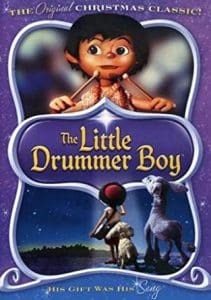 The story of the little boy who offers the tiny baby Jesus his most precious gift connects with people on a level Frosty or Rudolph never could. Why? Well, for me it’s that I can associate with feeling like I’m unable to give a gift worthy of those I care most deeply about. Whatever the reason, this Christmas song is a favorite with both musicians and their fans, having been recorded 220 times in over 7 languages. And it can teach us some great lessons about money and gift giving. When it comes to Christmas, there’s often pressure to provide the perfect gift. Christmas can be stressful when it comes to trying to find that “just right” present. That, and we can often feel pressure to spend lots of money on gifts to show our loved ones how much we care. 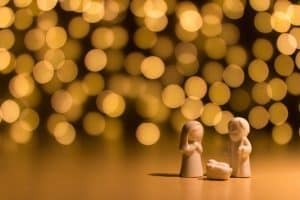 Like The Little Drummer Boy who was faced with adoring worshippers showering Jesus with their “finest gifts”, we can feel the need to keep up with the Joneses in the gift-giving department. This is a recipe not only for debt and financial ruin but also deep unhappiness. The Little Drummer Boy isn’t worried about any of this. He realizes he doesn’t have a gift of great material worth to give. But that doesn’t stop him from giving his most precious gift. He gives his talent and time. When it comes to generosity, we tend to think only in terms of dollars and sense. Time and talents are often secondary to giving money. We need to SHOW our kids, and not just tell them, that generosity can take many forms. In fact, I suspect the reason that money is often easier to give than time is that it’s easier to part with cash and requires less sacrifice. At Christmas, it’s important to remember that giving an amazing gift has very little to do with the dollar amount spent. Rather, it has everything to do with the heart and spirit in which the gift is given. And when a gift is given wholeheartedly and with pure motives, the recipient can’t help but feel deep gratitude. This 250 year-old Christmas carol is one that I can listen to over and over during the Christmas season. In addition to having a glorious melody, this angelic tune sums up what the Christmas season is really all about. At its core, Hark! The Herald is all about, well, what the angels are harking about. The birth of Jesus. Whether you’re religious or not, most people can agree that life is more than just money. 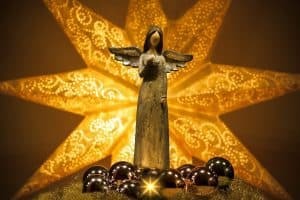 And this Christmas song beautiful draws our attention away from the trimmings of Christmas that may bring temporary happiness, the presents, food, and fun, and towards the things that bring lasting joy and fulfillment. With its haunting melody and introspective lyrics, Silent Night always ranks high on any list of best Christmas songs ever. And who can argue with a Christmas song that Simon and Garfunkel recorded (or is just me?). But what can this Christmas song classic teach us about money? Yes, Silent Night is a carol rich with celebratory lyrics. And yes, it’s about the long-awaited Savior’s birth and the domino-like outpouring of adoration in Heaven and on earth. But if you look closely, there are money lessons to be learned. Things are good now. All is calm, all is bright. Love’s pure light has finally arrived. But you know how this story goes. Trouble is coming, even though it’s a long ways off. The good times will not last forever. We may be financially getting by now, or even rocking our money. Maybe we’re crushing it at our job, with promotions and bonuses happening regularly. Our vehicles are running like well-oiled machines and we’re as fit as fiddles. Layoffs. Car repairs. Health issues. Fill in the blank with whatever concern will derail your money utopia, but be sure that these things will happen. And when it starts to rain, you had better be sure you have an umbrella. That’s why having an emergency fund is so important. 3-6 months worth of expenses is what you should be aiming for with your raining day fund. It’ll take a while to get there, but the peace of mind it brings will be well worth the hard work. One of the best Christmas Songs ever, O Holy Night is a personal favorite of mine. The combination of thoughtful lyrics paired with perfect music made for an instant classic when it was penned close to 200 years ago. The music alone speaks to listeners. But when lyrical poetry accompanies the powerful melody and builds to a climax on that “night divine”, the result is nothing short of glorious. That and it’s a favorite song I tend to butcher when I sing along to the radio at Christmas. Musical accolades aside, there are money lessons to be learned here. And they’re especially important for parents. This little infant in the manger is tender and mild now, but you know he’s going to grow up. His parents need to enjoy the moment; the gifts of the Wisemen, the beautiful star overhead. But they need to do so with an eye to the future. The gifts of the Wisemen will soon give way to more serious work down the road. 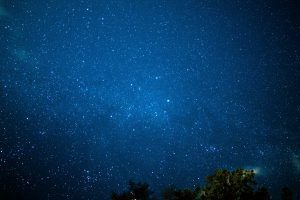 As parents, it can be easy to get sucked in to only thinking about the here and now with our kids. Soccer cleats, music lessons, family vacations. We want to give them everything they need to have happy, healthy childhoods. And that can be a good thing when it’s done without removing all obstacles in their way. But as parents, we need to plan for the future. Because if we don’t, if we fail to plan for it, our future plans will fail for sure. This timeless Christmas song has been sung by kids for generations. In fact, it was one of the first Christmas songs I learned as a child. And what’s not to love? The child-friendly tune and easy to remember lyrics make it a great bet to be remembered by kids of all ages. The fact that Mary was pregnant was a surprise to Joseph at first, no doubt. But after he’d picked himself up off the floor and wrapped his head around what had taken place, his shock and surprise should’ve been replaced by planning. I know when we found out we were going to be parents, after celebrating we quickly moved into planning mode. And yet, Joseph takes his “great with child” wife on a donkey-powered road trip and doesn’t book a place to stay? Come on, man! Really Joseph!!?? You’re better than that!! In all seriousness, even though it worked out for the best, this lack of planning could’ve been disastrous. I mean, if there had been no stable and Joseph had been forced to pay for a room, he could’ve been gouged by some opportunistic innkeeper. As parents striving to be financial rockstars, we need to be sure we’re planning ahead for the future. This means saving at least 15% of our gross income, being adequately insured, having a will, and saving for our kids’ education. By successfully planning for our future, we stack the deck to have future success. I have to be honest, I’m not the biggest pop fan. But when it comes to best Christmas songs ever, Mariah Carey’s All I Want For Christmas is up there. It doesn’t fit into either of the categories but it’s on the list because Carey knocked it out of the park with this contemporary Christmas classic. Not only does the song have a really catchy tune, but the message is also incredibly positive. The basic premise of the song is that we should turn away from the consumerism that has hijacked Christmas and remember what it’s all about, being with the ones we love. Carey “doesn’t care about presents under the tree” and she’s not going to “make a list and send it to the North Pole for Saint Nick”. No, all she wants for Christmas is the one she loves. 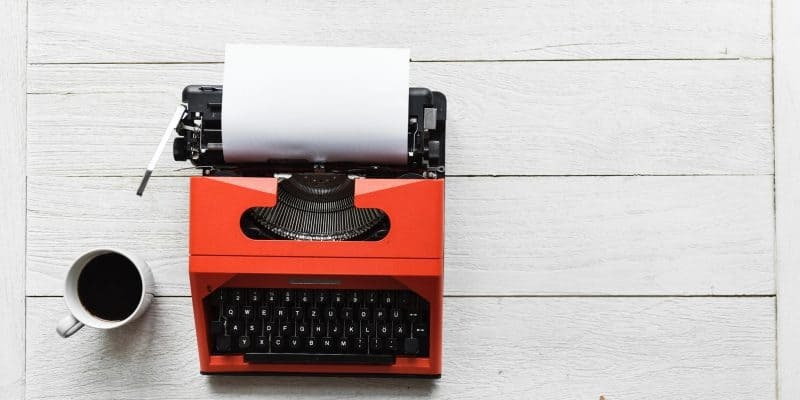 For all the emphasis that people put on money, and personal finance writers are often the worst culprits, we’d do well to remember that life doesn’t consist of what we own. It’s about far more than that. It’s about love and people. And that, at the end of the day, is what Christmas is REALLY all about! So you’re probably all wondering, what’s the best Christmas song ever? Which song is actually #1? Which is the chart topper? Well, the answer to that is…it depends. It depends on the memories tied to each song, the places each melody takes you, and the feelings the tune inspires. At the end of the day, it’s personal. It depends on your situation. It’s just like your money. How you save it, spend it, give it and teach your kids about it. So how can you use Christmas music to teach kids about money? Christmas is such an amazing time of the year. It’s a time when the sights, smells, and sounds of Christmas songs can fill us with nostalgia from head to toe. But like all moments in life, we can either let them drift by or take advantage of their teachable elements. When it comes to teaching your kids about money, use this Christmas playlist to not only put your kiddo in the Christmas spirit but to also teach them a thing or two about how to handle their money like a pro! (LINK TO YOUTUBE AND PLACES THEY CAN BUY). You’ve now got some talking points you can use to get the conversation rolling! 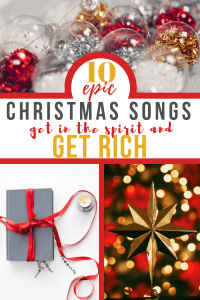 Below I’ve listed the full lyrics for all of the Top 10 Epic Christmas Songs To Get In The Spirit And Get Rich. 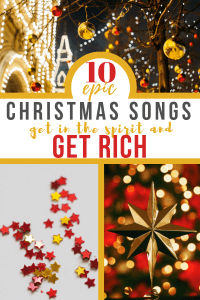 Take a look and have a listen and see what money lessons YOU can take away from this Christmas songs list! Share in the in the comments below or on Twitter @method_money or my Facebook page Method To Your Money. You can also find me on Pinterest. And if you want help passing on your money values to your kids, sign up below for my FREE course How To Teach Your Kids About Money!